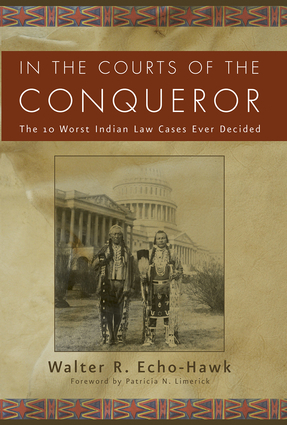 Now in paperback, an important account of ten Supreme Court cases that changed the fate of Native Americans, providing the contemporary historical/political context of each case, and explaining how the decisions have adversely affected the cultural survival of Native people to this day. Walter R. Echo-Hawk (Pawnee) is of counsel to the Crowe and Dunlevy law firm of Oklahoma. As a staff attorney for the Native American Rights Fund for thirty-five years, he represented tribes and Native Americans on significant legal issues during the modern era of federal Indian law. In addition to litigation, he worked on major legislation, such as the Native American Graves Protection and Repatriation Act, and federal religious freedom legislation. He is a prolific writer whose books include the award-winning Battlefields and Burial Grounds.